Think Sink! 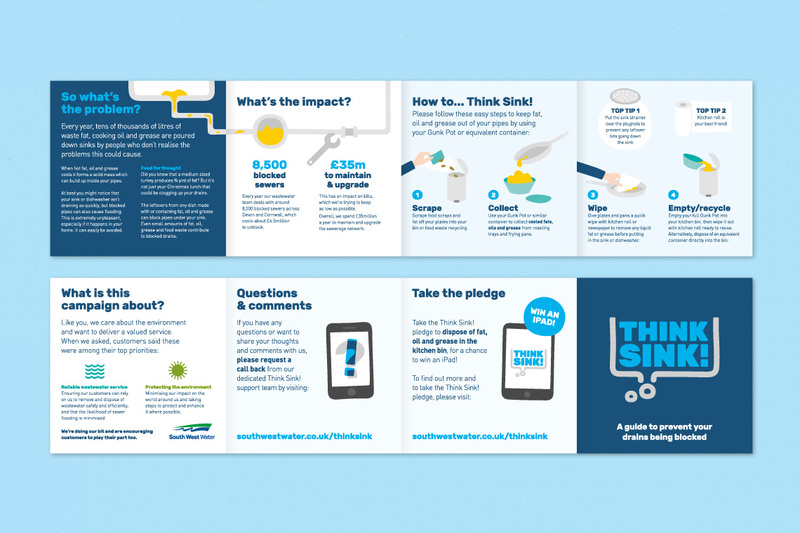 was a campaign launched by South West Water to encourage customers to dispose of cooking fat, oil and grease in the kitchen bin rather than down their sinks. When waste fat, cooking oil and grease is poured down sinks it cools and forms a solid mass which causes severe blockages in pipes and sewers. 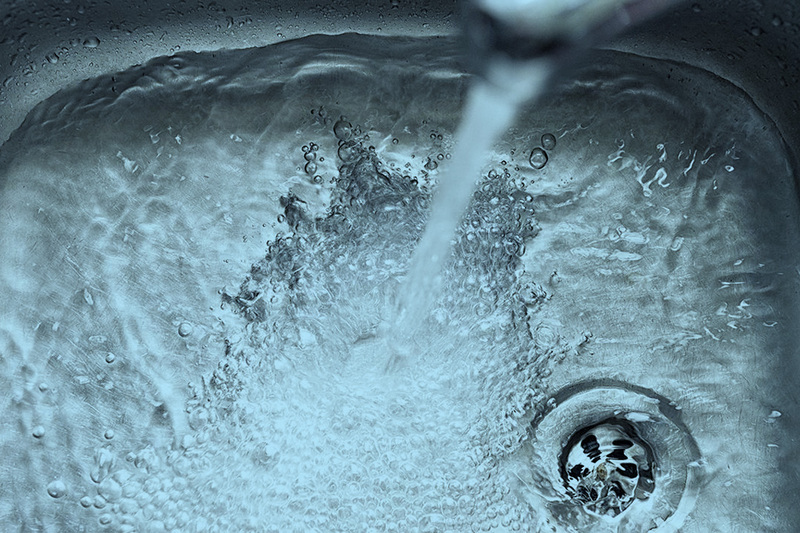 Every year South West Water deals with around 8,500 blocked sewers across Devon and Cornwall, which costs about £4.5m to unblock. Studio AB, in collaboration with marketing and management consultancy Maverick Ventures UK, designed the campaign brand and marketing materials using simple and bold infographics to communicate the message.